The Maver Mega Match This competition has established itself as the largest and most prestigious individual event in UK match angling today. 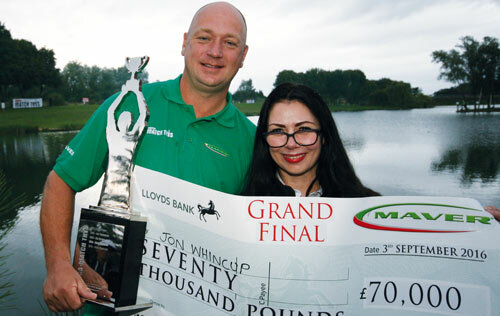 The Maver Mega Match This event represents the pinnacle of our sport and is leading the way in ensuring both angling as a sport, and anglers as individuals, receive the recognition they deserve. If ticket sales allow in future qualifier campaigns, the Maver Mega Match This event will pay out £100,000 to one lucky winner! Mega Match This was launched in an effort to help raise the profile of our sport. Fishing, in general, receives very little recognition by way of conventional means when compared to other sports such as football, tennis, darts, snooker, etc. In reality, angling is the most participated sport in the country yet is often perceived by people outside of the sport as more of a hobby or pastime rather than a profession. Angling is an incredibly skilful sport with many individuals who fish at top level dedicating countless hours to a cause they love and feel passionate about. With a lack of high profile competitions and a distinct lack of financial reward to benefit those anglers, Maver (UK) felt the only way to gain any credibility for our sport was to introduce a competition like no other and raise the bar for modern day match fishing. With this in mind, the Maver Mega Match This event came to fruition offering a prize at the end of it all in line with other mainstream sports. Maver Mega Match This was first thought of back in 2010 with aspirations of a competition that would award the winner £100,000 if all twenty four qualifier events were to sell out. The concept gradually gained momentum over a period of several months and the country’s top venues were booked before it was officially confirmed with the launch of the Mega Match This website. 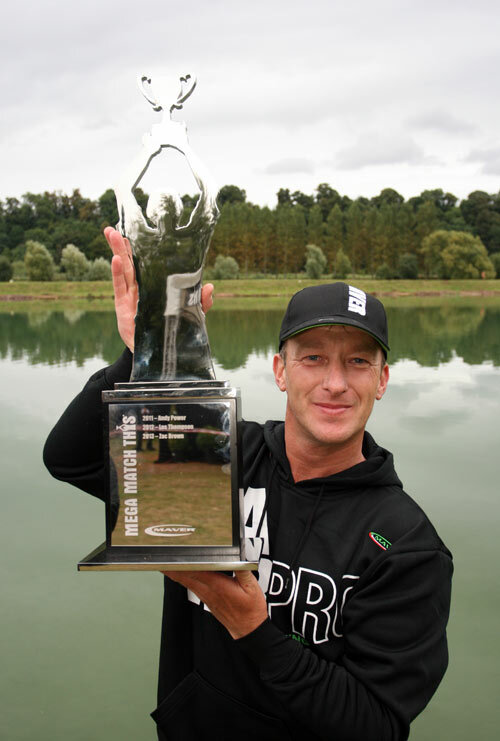 Anglers and press alike were understandibly excited but sceptical with a competition like this having never been announced before – a competition that could quite literally change the face of the sport as we know it. The Mega Match This event is the richest and most prestigious event in the UK, and is the one everyone now wants to win! 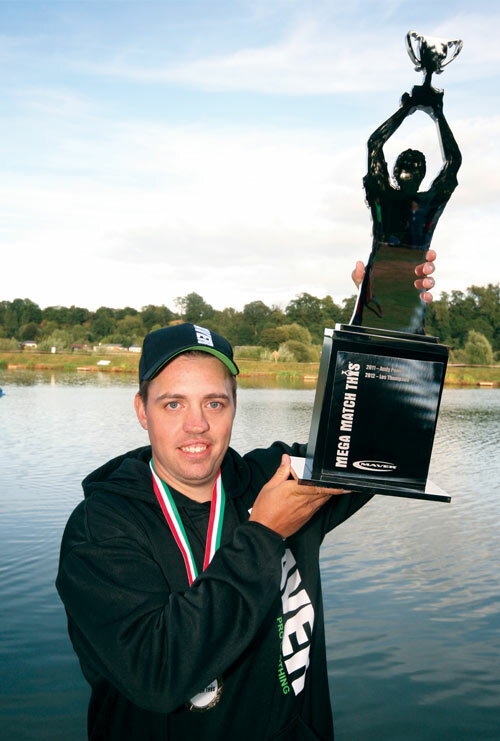 The Maver Mega Match This event is comprised of twenty four (24) qualifier events taking place up and down the country at some of the UK’s most prolific venues including Decoy Lakes, Mallory Park, Lindholme Lakes, Heronbrook Fisheries and Tunnel Barn Farm to name just a few. Qualifiers start the first weekend in April and run right through until the middle of August with qualifiers taking place most weekends inbetween as well as occasional mid-week qualifiers on Wednesdays. 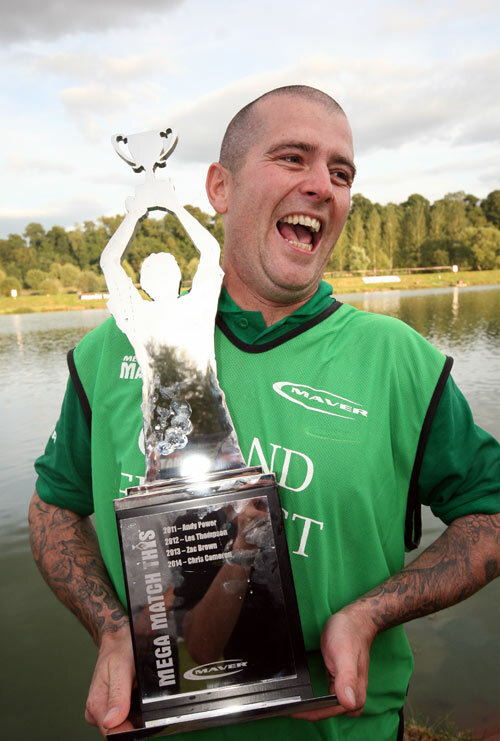 Qualifiers are available to all anglers of all abilities providing you are aged sixteen (16) or older. Tickets to fish the qualifier events are available on-line only via the Official Mega Match This website. 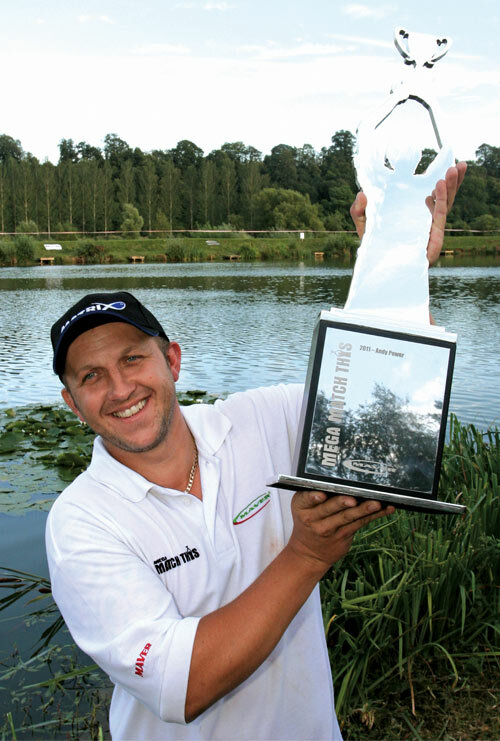 Tickets are sold on a first come first served basis with each qualifier accommodating a maximum of one hundred and twenty (120) anglers, with the exception of Mallory Park at one hundred and ten (110). 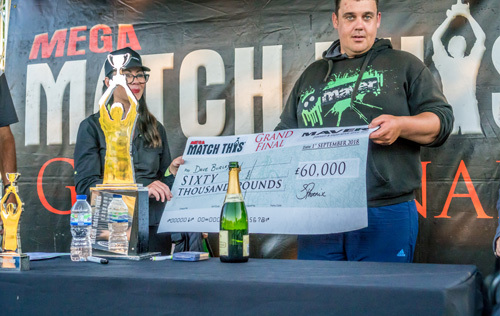 The winner of each qualifier event progresses through to the Mega Match This Grand Final staged at Maver Hayfield Lakes in Doncaster the first weekend in September where the twenty four (24) finalists compete for a minimum prize of £50,000. Prizes are also awarded to second and third placed anglers, each receiving £5,000 and £3,000 respectively, as well as section prizes awarded every six pegs at £1,000 per section winner (four sections in total). To book on to any one of the twenty four (24) qualifier events anglers can either (a) visit https://mavermatch.co.uk/buy-maver-match-this-tickets or (b) telephone 01527 406300. Tickets cannot be purchased from anywhere else and can, under no circumstances, be purchased on the day or from the venue. If you wish to purchase your Mega Match This qualifier ticket(s) on-line, you must first create an account via the website. You will be asked to provide details such as name, valid Email address and postal address. You will also be required to create a password in order to gain access to your own Mega Match This account, from which you can view tickets purchased and administer ticket transfers. The process is extremely quick and straight forward. Once you have created your Match This account, you simply opt to ‘Buy Tickets’ and select any one of the qualifier events you wish to fish. There is no limit on the number of qualifier events you can enter and no lottery-style allocation! If you wish to enter a qualifier event at, for example, Hayfield Lakes, providing tickets are available, you simply purchase your ticket(s) and book on! It couldn’t be simpler. Tickets are paid for on-line via a valid debit or credit card. Qualifier tickets cost £50 each including peg fees. There is no additional fee required from Maver (UK). However, please be advised that many of the participating venues that host Mega Match This qualifier on our behalf will ask for an additional optional pools on the day in order to award prizes to top placed anglers as well as section prizes. The cost of pools on the day, etc, is at the fishery’s own discretion. Do I Need To Join A Club Or Be A Member Of The Angling Trust To Enter? The simple answer is NO. Tickets are offered on a strictly first come first served basis with no loyalty / benefit schemes or favouritism. Note also you do NOT have to be a member of the Angling Trust to enter a Mega Match This qualifier. Providing you pay the £50 entry fee, there are no additional costs and / or stipulations. What’s The Latest I Can Book A Ticket To Fish A Qualifier? Tickets can be purchased up until one week before the date of the qualifying event if you are paying by cheque. If you are paying for tickets via a debit / credit card, you can pay up until the 12:30pm on the Friday before the match (weekend events) with the exception of mid-week qualifiers, which will see ticket sales close at 12:30om the day before the match. Tickets cannot be purchased after such time. Please also note that tickets cannot be purchased on the day. If you have not booked your ticket(s) in advance, you will not be able to fish on the day. What Happens If I Buy A Ticket, But Can’t Fish The Qualifier? If you purchase a Mega Match This qualifier ticket but then are unable to fish the event for any reason, tickets are fully transferrable between anglers. Please note, however, tickets are NOT transferrable between venues. In order to transfer you ticket please contact Maver (UK) on 01527 406300 and advise of the name change. Please make sure you inform Maver (UK) of the name change before the final listing of entrants is sent across to the fishery before the qualifier takes place on the Saturday / Sunday. Historically, the Maver Mega Match This event has been televised on Sky Sports. However, in 2016, the event was shown on BT Sport for the very first time. Going forward, the event will continue to be aired on BT Sport 1, 2 and 3. The programme is a one-hour long reportage of events on the day filmed and presented by Rob Hughes. The ultimate objective is for the Mega Match This final to be aired live, towards which we are making good progress and are confident we will secure live coverage for a future event soon! Watch this space. Do Maver Make Anything Out Of Mega Match This? Absolutely not! The Maver Mega Match This event was first introduced to help raise the profile of our sport. Of course, organising an event such as Match This incurs many costs, with pegs fees alone amounting to almost £20,000. Rest assured, however, if all twenty four (24) qualifiers sell out, then the winner WILL walk away with a life changing sum of money. For more information regarding the Maver Mega Match This 2019 qualifier schedule, visit the Mega Match This tickets page.